After workout session of thorough weight lifting, you will experience a lot of muscle damage. As an immune response, the body produces satellite cells to prop the damaged muscles as cell repair takes place. These processes demand a lot of proteins. Therefore, this would be the perfect time to down a mugful of protein shake. However, not just any protein cuts it. You need an easy-to-digest supplement to nourish the hurting muscles as fast as possible. We recommend protein whey isolate because it is digested and absorbed faster than other forms of protein. Consequently, they might be the purest form of proteins having a 90% protein content. If you go to the gym frequently, you might have heard different opinions and myths about protein powders. They have become quite common not only among bodybuilders but also among the regular athletes. While most athletes emphasize that whey protein powders are vital for post-workout recovery, ultimately you do not need them as much. You could still get your daily dose of protein from regular food. However, you might find whey protein powder useful because of its fast acting nature and convenience. After a workout session, your muscles are left in an optimal state to take in amino acids for protein synthesis and muscle repair. This state of hypertrophy lasts roughly an hour and is called the anabolic window. Some research suggests that during this stage, the rate of amino acid delivery to the muscle heightens. You, therefore, need a fast acting protein such as whey to get a more significant stimulation in the muscle protein synthesis. This way you can build more muscles faster. There are so many protein powders in the health and fitness market making it difficult to pick just one. However, not all of them are of good quality because the FDA does not regulate their production. To help you find a good product that promises great results, here are the common types of proteins worth considering. Milk is a popular source of protein for most protein powders. It constitutes 80% casein and 20% whey. Whey is the fluidly extract that remains after the curds have been separated from milk during cheese processing. Whey is rich in proteins particularly the branched-chain amino acids. Leucine, which is one of the BCAAs, is essential in facilitating muscle recovery and growth after a serious weight training. Casein is more or less like whey and also comes from dairy. It is the primary protein constituent from cow’s milk. Unlike whey, casein acts by a slowly releasing of amino acids into the bloodstream. When you ingest it, it has to go through a series of complex digestive processes in the stomach before the amino acids are available to be absorbed into the bloodstream. For this reason, it is not a good option for post-workout use. You may consider consuming casein-based protein powders before sleeping. This way, your body gets up to ten hours that are sufficient for the digestion and absorption of casein proteins. Eggs are famous for their high contents of excellent quality protein. They produce up to 9 types of vital amino acids that your body needs but cannot build on its own. In addition to that, egg proteins brag of a better digestibility as compared to sources like pea and meat. Eggs are the runners-up after whey regarding leucine quantity. Owing to that fact, they play a huge role in promoting muscle health and strength. Since they are slow acting like casein proteins, they may not be the best for post workout muscle recovery. However, they are an excellent option for you if you are sensitive to lactose associated with dairy-based proteins. Pea falls in the group of plant-based proteins. It has high contents of essential amino acids called complete protein. Studies reveal that it performs nearly as well as whey protein in muscle repair after an intensive weight training exercise. It is important to mention the fact that isoflavones in soy-based protein powders could interact with estrogen to spike your hormone levels or reduce testosterone levels. Research shows that whey helps repair muscles after an intensive workout session (). In addition to that, it can help increase your muscle strength as well as facilitate their growth if you consume it within two hours post workout. In addition to that, whey is a highly bioavailable protein, which implies that it has high absorption rates. During exercise, the skeletal muscles and adjacent body tissues undergo physical stress and tear. However, the repair or muscle gain does not occur during work out. It only stimulates the muscles to be in a hypertrophy state to encourage their growth and development. At this stage, they are ready to receive nutrients from the bloodstream. This process occurs typically in a two-hour period called post anabolic window. Therefore, the type of nutrient to be consumed needs to be one that works fast. This makes whey a worthy candidate and source of protein for post-workout muscle repair and recovery. Not all protein supplements have the same amount of benefits or detriments to your fitness and health. Protein powders vary in nature depending on their source- either plant or animal. There are three major protein types. They are protein concentrates, protein isolates and protein hydrolysates. These types of proteins are extracted from whole food through enzyme action or exposure to heat and acidity. They have a protein content that ranges between 60% and 80%. Protein concentrates are not subject to elaborate processing. Therefore, the remaining portion (about 20-30%) consists of lactose, fats, or carbohydrates. The minimal processing also leaves behind lactose making concentrates not ideal for people with intolerances to lactose (roughly 70% of the population). While this isn’t the best choice of protein powders, concentrates tend to be the most cost-effective. So if you’re budget can only allow for a concentrate then that’s fine. Whey protein isolates undergo a certain degree of pre-processing to get rid of fillers such as carbs, fats, and cholesterol. The processing also removes lactose to make it suitable for people with lactose intolerances. They have about 90-95% protein content. Moreover, they are digested quickly and are friendlier to the stomach than their concentrate counterparts. Consequently, they are as capable as hydrolysates but are more affordable. Also called hydrolyzed proteins, hydrolysates are highly processed and refined protein supplements. They undergo thorough processing or pre-digestion to make them purer, faster, and more efficiently digested than the other two protein types. However, they are often overpriced. Among the three, we would recommend that you go for the protein isolates because they deliver proteins of high quality and digestibility at a pocket-friendly price. Besides, the pre-digestion of hydrolysates isn’t necessary as your stomach can probably handle the digestion process associated with isolates. 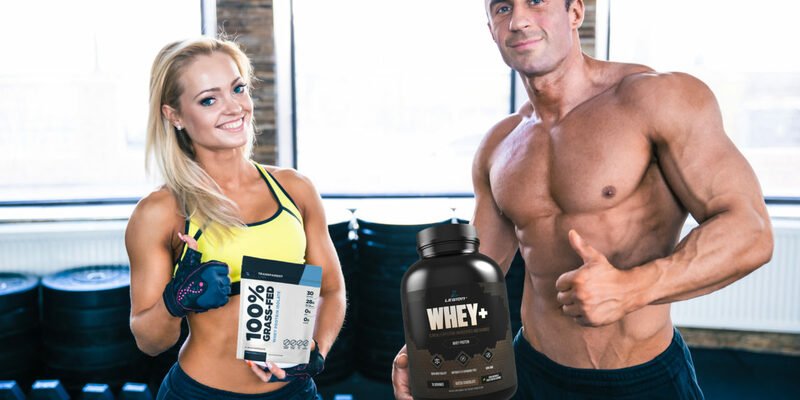 If you have tried different types of proteins before and have had problems with digestion, then perhaps you might find a solution in whey protein isolate. The extensive filtration process that whey undergoes to become isolate eliminates cholesterol, fats, carbs, and lactose. In addition to that, it is affordable and readily available. Because it’s highly bioavailable, whey might be a great option if you are a hyperactive person or athlete seeking to increase your protein intake. The aspects make it one of the best protein powder supplement out there. After reviewing all these fundamental issues regarding protein powders, you might still be wondering how to go about finding the actual product in the market. Many producers describe their protein powders in attractive terms that may sway you towards purchasing the wrong supplement. Therefore, here are some essential tips to help you make an informed choice. The three types of whey mentioned earlier come with different digestion and absorption rates. You are probably safer with isolate whey because it is cheaper, available, and reliable. Also, it has little to no carbs, cholesterol, lactose, and fats. A good whey protein powder needs to have at least 80% protein by weight measure. How do you calculate this? Divide the quantity of protein per serving by the individual serving size, usually one scoop of the product. This is a full proof way of distinguishing whether or not a product has useless fillers. Since the FDA doesn’t standardize protein powders, the only way to avoid untested or harmful products is to go for a brand that has been in the health and fitness industry for long. You’ll find that such products have featured multiple research to establish any side effects and efficacies. You should avoid unreasonably cheap whey isolate protein because they are usually laced with fillers. This video can provide you with further guidance on how to choose an excellent protein whey isolate supplement. Here are five best whey isolate powder supplements that should probably feature in your search list. The Legion Whey+ is a favorite protein powder that is made up of 100% Whey protein isolate. Being of isolate type, it has no lactose, cholesterol, carbs, or fat. This implies that it delivers better digestibility and a lesser likelihood of stomach upsets. Another vital aspect of legion Whey+ is that it has a protein by weight measure of 90%. This high ratio allows it to deliver more proteins to muscles to repair torn muscles at a faster rate. Legion Whey+ protein is sweetened with stevia that comes from the natural leaves of the stevia plant. It is also great because it lacks generic unhealthy substances like gluten, MSG, and hormones like rBGH or rBST. This supplement comes from milk from healthy grass-fed cows with no hormones or GMO constituents. Therefore, you might find it an excellent option for your muscle building and weight loss needs. The RE-KAGED protein powder is a quality supplement that works great as a post-workout use. It utilizes high-quality whey protein isolate for faster action and absorbability. The company uses prohydrolase technology to come up with a pure and highly bioavailable protein powder. RE-Kaged protein powder is therefore quite efficient with regards to absorption. The whey protein is synthesized further so that your body can assimilate it faster to the damaged muscles after a strenuous workout session. RE-KAGED protein powder also contains fermented glutamine, a nutrient that your body uses to promote protein synthesis and strengthen muscles. Optimum Nutrition is perhaps the most trusted brand of sports nutrition and supplements. Its product, ON Whey Isolate, is made up of pure whey isolate which is ultra-filtered to remove constituents such as lactose and cholesterol. It also comes with other advantages such as better digestibility and faster assimilation into the bloodstream. Therefore, you might want to use the ON Whey Isolate to facilitate faster muscle building after your workout session. This supplement is protein-rich and delivers up to 25 grams of high-quality proteins per scoop. In addition to that, it has additional 5.5 grams of branched chain amino acids that are good for muscle repair and recovery. To avoid stomach problems or intolerances, ON Whey Isolate has been subjected to tests that look for banned substances and additives. The Transparent Labs 100% grass-fed whey provides a natural and safe source of high-quality proteins. In every scoop of the TL Whey Protein Isolate (roughly 32 grams), you will get 28 grams of protein. This translates to 87.5% protein by weight meaning that it gives you more nutrients per serving. Therefore, this might be the best protein powder when you are looking for more protein for quicker recovery after intensive weight training. Another great feature of this whey isolate protein powder is that it is all-natural. Transparent Labs doesn’t add preservatives, sweeteners, food dye, or gluten. This is great because it will help you steer clear of allergies, stomach upsets, or headaches among other side effects. NutraBio is a protein powder that is made of 100% non-denatured whey protein isolate. This means that it has no fillers such as calories and fat that are present in concentrate whey products. This is important because it helps you avoid ingesting carbs and calories that may give you additional weight gain or digestive problems. Another great feature of NutraBio is the fact that it has no banned additives such as maltodextrin, dextrose, and creamers. These are sugars that add unhealthy carbs and sugars to supplements. Each serving of the NutraBio supplement delivers 26 grams with additional 5.6 grams of BCAAs and 4.9 glutamine. These nutrients are vital because they facilitate protein synthesis at the muscle and reduce the rate of muscle damage. Being made of purely protein whey isolate, NutraBio has a high biological value or protein efficiency. If you are looking forward to growing lean, hard, and well-toned muscles, these five best whey protein isolate might be a good place to start. The Legion Whey+ is our best pick in this category because it has over 90% protein by weight and nearly zero fats or carbs. After intense workouts, your muscles are hurting while most are damaged. Therefore, you will need plenty of proteins to nourish them. With its high protein by weight measure, Legion Whey+ might be a good option. In addition to that, it has no artificial sweeteners yet still manages a sweet taste, thanks to the all-natural stevia sweetener. In spite of its premium features, it is affordable as compared to the other members of our list. Therefore, if you are looking for high quality, efficient, healthy, and tasty protein whey isolate for post workout recovery, Legion Whey+ is hard to beat.